Is your WordPress site loading slowly? Does your WordPress site take 10, 20, sometimes 30 seconds to load a web page? If your website’s page load test speed is more than 4 seconds, you may be missing out on 75% of your potential web traffic! Go HERE to test your page load speed, and if it’s more than 4 seconds – Call us at 512-825-4353 immediatley. In this article, we’ll show you both basic and advanced ways to make your site load faster. We’ll talk about why it matters that your site loads quickly, why your site may be running slowly, and many different ways to improve your site’s load speed. You only have 5 seconds to engage a customer before they leave your site. 46% of users will not return to a poorly performing website. Also a one second increase in page load times leads to a 7% loss in conversions, 11% fewer page views and a 16% decrease in customer satisfaction. All of this means that if your WordPress site is loading slowly, you’re conversion rates will go down and you will ultimately lose customers.Load speed also impacts your SEO efforts. If your load speed is fast, you will be ranked higher on Google and other search engines. Another aspect of load speed to keep in mind is that not all internet service is created equally. This means that while one customer in the U.S. may experience a fast load speed on your WordPress site, another customer in India may experience much slower page load times. By making a small improvement in your page load speed in the U.S., you could also be making a bigger page load speed improvement in other places and countries. There are many different reasons why your WordPress site may be loading slowly. Most of these problems can be fixed, but there are some that may be out of your control. 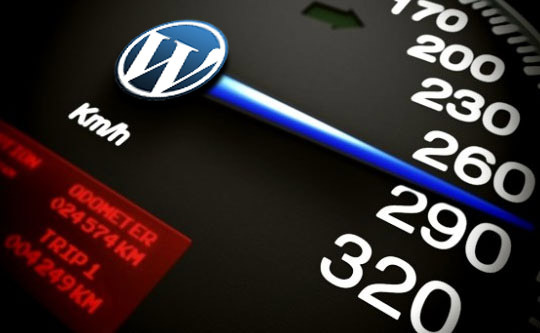 There are 4 main parts that contribute to your WordPress site’s load speed. They are your coding, your themes and plugins, your server and hosting, and your customer’s computer. The language and coding that your site uses will influence your page load speed and how fast your server can process your code. For the most part, PHP is going to be the best coding option to use but ASP.net and HHVM are still on par with PHP performance currently. As far as servers go, they can be set up to send information in a compressed format called gzip compression. Switching your setting for this option to “On” will help increase your speed. Your themes and plugins can also play a part in slowing your site down. This is because the majority of themes and plugins are made by outside developers which means that there can be coding errors or the code isn’t up to date with WordPress itself. While we all love that the WordPress community is so open and creative, it does mean that any developer can make a theme or plugin with bad code. 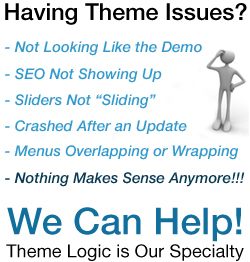 The bottom line is, is that themes and plugins add an extra layer of code for your site and server to process. This does not mean that you should do away with all themes and plugins; it just means that you should be conscientious and careful when choosing them so that way you can be sure that you’re adding quality code to your site. Another aspect to your load speed is your server and hosting environment. The definition of a server is a computer or computer program that manages access to a centralized resource or service in a network. Basically, it is a physical computer somewhere in the world that resembles some properties of your own computer such as CPUs, memory, and hard drive space. The higher performance of each part of the server, the faster your site will load. The location of your server also affects your page load speed. It’s the same concept as the internet service; if you’re in Seattle and the server is in Portland, you’re going to experience faster loading times than if the server is somewhere in London. Hosting, on the other hand, stores your website and data on a server so that it can be accessed over the internet, usually for a monthly or yearly fee. There are three types of web hosting; shared, VPS, or dedicated server. A shared hosting option may have hundreds of other sites on the same server all trying to use the same CPU, memory, and hard drive space and those things are not shared equally amongst all sites which can cause your site to run slowly. A VPS is similar to shared hosting in that it is still a shared space but it’s shared with less sites and the CPU, memory, and hard drive space are shared equally. A dedicated server, like the name says, means that you are the only one using it which means that you don’t have to share resources with anyone else. For the most part, VPS hosting or a WordPress only hosting company, such as WP Engine, will be your best bet. Lastly, is your customer’s computer. While you can’t exactly change which computer your customer is trying to view your site on, it’s good to keep this in mind. For the most part, the older the computer, the more time it’s going to take to load your website. This is due to the fact that over time computers start to use their memory less efficiently and their parts start to wear out. In the past this wasn’t really an issue but since technology has been getting better and faster, websites have been using client side processing power in order to make things load faster and smoother. Now that we’ve learned about some of the culprits behind slow WordPress websites, we’ll go through how you can improve your site’s loading speed. We’ll start off with some basic ways you can increase your site’s speed and then we’ll move into more advanced, developer level options. In general, these basic tips and tricks won’t be dealing with much code editing so they should be fairly simple to accomplish. To start off with, you want to make sure your PHP code is up to date. Many hosting companies will actually update your PHP version for you. If you don’t clearly see that PHP updating is part of your hosting plan, you can always ask for it to see if they offer it for free or as an add-on. Updating your PHP version is done differently depending on your host. The main way of updating your PHP version is to login in to your hosting account and then search for “PHP Configuration”. Once you find “PHP Configuration”, you can select which version you’d like to update to. You should currently be running at least version 5.4 but the most stable version is 5.6.9. Be aware that because you are dealing with code that issues can arise when updating your PHP version. Most issues will surface if you try to go from really old code to the newest version in one shot. Make sure to ask your hosting company if they have an option to revert back in case something happens while updating your PHP version. You will also want to make sure that your WordPress version is up to date. While you won’t notice a big boost in speed, it will fix security issues which will protect your site from hackers and malware which will slow your site down. As with updating your PHP version, remember to stay on top of your WordPress version updates so you don’t run into issues when updating. For information on how to update your WordPress version, you can follow this link to our step-by-step guide. The next step you can take is to decrease the amount of requests your site is making to your server. While this is more easily done by developers with coding experience while creating themes and plugins (we’ll talk about this more in the advanced options later on), there are steps you can take to make your site better. The first thing you’ll want to do is to figure out how many requests your WordPress site it making. You can use tools like Pingdom that will show you an overview of your site’s requests. Basically, one item (photo, video, other media) = one request so the more things you add to your site, the more requests it’s going to make. Here is an example: say you created a post and you added picture galleries to it and you made it so the first 5 images in that gallery are in your archived pages, as well. This could mean that this one single webpage could have over 60 requests. One way to combat this without taking pictures or media off your site is to decrease the number of posts per page. You can do this by going to your dashboard and then clicking on settings and then reading settings. Once you’re in your reading settings you can set the number of blog pages your site will show at most at one time. You’ll want to choose a number between 5-8. Another tip is to decrease the amount of plugins you are using such as plugins that have their own style and scripts. If the coding of the plugin is well made then it can save you 1-2 requests, but if the plugin has bad coding or if it was overkill, you can save up to 8 requests. If you have plugins that are wasteful or plugins that you don’t even use, you can get rid of these, or deactivate them, in order to save you more requests, as well. The P3 (Plugin Performance Profiler) is a great option to help you figure out which plugins are giving you the most problems. While this next thing usually isn’t an option, it’s a good one to think about. If you can do it, switching your theme to one that isn’t too loaded down with extra features can help speed up your site by not loading styles and scripts that you don’t even use which in turn saves requests. When selecting a theme, just make sure that you’re getting all the features you need without a bunch of stuff you’ll probably never use. If you’re a photographer or image happy on your site, one tool that can help you in your quest to lower requests is lazy loading images. While this doesn’t get rid of requests, it does stagger them on each page instead of trying to load all of them at once. This means that it will load the image at the top of your page and then when you start scrolling down it’ll start loading the later ones. There are many different plugin options for lazy loading images that you can choose from. CDN’s (Content Delivery Networks), such as Amazon Cloudfront, are also a good option for sites with a lot of pictures. A CDN allows you to host pictures, and other media, off of your server and they help with load speed. Because you’re hosting your pictures on a CDN, it means they are not tied to your server so it allows you to move freely between domains and hosting companies because your media stays on your CDN in the same place. A CDN can help with load speed because it pulls requested resources (your pictures/media) from a location closest to you. This means that if your customer is in California, it may pull the pictures/media from a database in California, instead of pulling the request from wherever you are, meaning it doesn’t have to travel as far. Another option for images is to optimize and resize them correctly for your site. You can use plugins such as WP Smush Pro that help compress your images. This can also be done in Photoshop or other image editing programs. You can also increase your WordPress site’s speed by getting rid of over the top and lavish elements. For example, if a customer hovers of a menu, they expect it to open quickly. If you add an unnecessary animation or something of that nature, it is going to slow the site down and customers will become frustrated. Along with getting rid of frustrating elements, enabling caching is also another great option for speeding up your site. Enabling caching makes it so the code is loaded from memory, rather than the server processing it each time someone tries to access your site. This can be done via plugins such as WP Super Cache and you can read more about our top three caching plugins here. As with any plugin, be sure to research them to make sure they will work with your theme and your needs. Cleaning up your database is also really important for the speed of your site. If you have meta information still stored for old users, or if you have unused and unneeded forms, these are the kinds of things that you’ll want to get off of your database. These things are dead weight and just take up space which in turn slows your site down. MySQL also helps you do table optimization automatically which can help you clear more space on your database, as well. The last general tip we have is to continually monitor your site. While this isn’t going to speed up your site right away, it is important to keep an eye out for speed issues and of course security issues so you can catch them before they get out of hand. Now that we’ve covered some of the basic, general tips and tricks for speeding up your WordPress site, we’ll move onto some more advanced options. These will include coding so they may not be for beginners. Decreasing requests is very important! One major way to reduce the amount of requests is concatenation, which is a series of interconnected code. Essentially, concatenation is when you copy and paste code into one single file and then upload it instead of uploading multiple code file. This is more on the advanced level and it’s much easier to do when you’re coding the site than trying to go in after you’ve already coded your site. Concatenation is great to do when you’re developing themes or plugins. You can also use sprites which are concatenated images. With sprites, you’ll be able to combine a bunch of pictures into one image so it can be placed more easily. Along with concatenation, you’ll also want to minimize your code to be as small as possible. This means you can take out things like unnecessary spaces and line breaks. You should also make sure to load scripts in the footer and not the header unless completely necessary. While this doesn’t reduce the amount of requests, it does make sure the content is loaded first before the footer so if there is some kind of error, the content will still load. When using the “wp_enqueue_script()” function set the fifth parameter to “true” to get the script to load in the footer. You can also make sure other content is prioritized higher than others. Of course you want the main content to load first, so making your non-essential information load after that will make your site seem like it’s faster. While we talked about compressing images in the basic options, we also want to make sure that we’re using the correct sized pictures. By using the “add_image_size()” function you can specify these images sizes. The last major thing you can do is to limit the amount of queries on your site. There are many different resources and plugins you can use on your WordPress site to see if yours are quality queries. The Query Monitor plugin is a good option or use define “(‘SAVEQUERIES’, true)” in your config file and print all queries via “$wpdb->queries”. We recommend not writing your own queries unless you absolutely have to and if you do, use the WPDB class to make sure it’s done safely and efficiently. You or your host can also turn on slow MySQL queries. Overall, speeding up your site is very important for conversion rates and SEO. Making your site load faster helps to keep your customers engaged and happy on your site. We hope these tips and tricks have helped you increase your loading speed of your WordPress site. If you need help with speeding up your site or other support for WordPress, we have instructors that are ready to help you. Call 512-593-1621 to schedule a consultation today.